Prim'd Marketing is a brand strategy + creative studio. We help dynamic brands craft their brand strategy and online presence to be clear, coherent, and most importantly, to resonate with their customers. We identify what makes them stand out in their competitive landscape, who their best customers are and how best to reach them through our signature offering, The Brand Plan. This powerful strategy creates a firm foundation for our execution through branding or guiding a new website. We believe that great brands can better share their message when they're clear on what really makes them spark. It is our honor to work with discerning brands to capture their heart and vision, and polish it for their best customers to see. We can accomplish a lot in an hour! Our Golden Hour sessions are a one-hour power session created to help you make an Action Plan for tackling your marketing stumbling blocks. We can audit your site, help you map out your launch, or teach you how to use a social media platform to get better results. Have you ever been to a networking meeting and stumbled over your words when asked, "So what do you do?" Yeah, we know that feeling, and we created The Brand Plan for this exact moment. This guidebook will solidify your experience, personality and style to form a cohesive and authentic brand. If you're launching a new website or ready to kick your marketing efforts into a higher gear, our Blog & Social Content Plans are the perfect guide to get you there. Combined with our Quarterly Editorial Calendar, you'll have the organization to be in control and the accountability to make it happen. Our signature offering combines a marketing plan, branding strategy, business visioning (and a bit of therapy) into one plan that can help you and your team combat marketing overwhelm and create impact in your business. You can take our word for it, or you can check out our work. 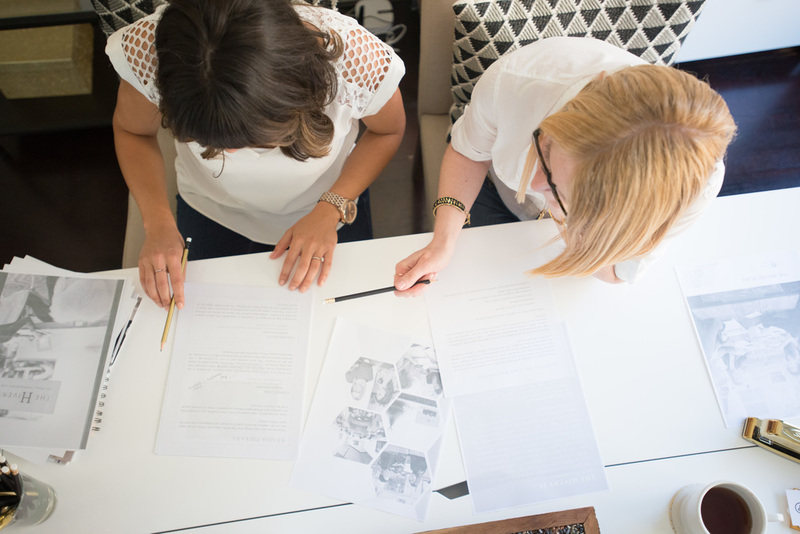 We feel pretty lucky to collaborate with inspiring clients, and have fun while doing it.